Amaryllis for use in the garden. They can be grown in containers in colder areas where they are not winter hardy. Note: These bulbs are not prepared for indoor forcing - please see Amaryllis (forcing) under 'Spring Blooms' category. 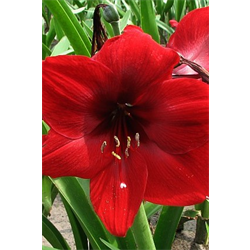 Pricing is per each and per variety for these amaryllis bulbs online (quantity discounts apply).